There’s no reason to wait until the New Year to act on weight loss. There are those among us who would like to lose a few pounds, and there are those of us who would like to avoid additional weight gain over the holidays. One thing we know for sure, to lose weight we need to burn more calories than we consume. A relatively simple way to control weight gain is to get back to more sensible portion sizes. Researchers at the University of Cambridge have found that by implementing portion size standards, we could potentially reduce daily calorie intake by as much as 29%. And, the good thing is you don’t have to go hungry while reducing overall caloric intake. Just eat a little less at each meal and you can still have two healthy snacks each day to stave off any hunger pangs. Unlike those “hard to stick with” diets that restrict calories too drastically, reducing your daily intake by just 100 calories each day can potentially equate to a weight loss of 10 pounds within a year’s time. For some people, that can be as simple as forgoing that small bag of chips at lunchtime or replacing that afternoon can of soda with a glass of water. Not necessarily life changing but easy peasy, right? By downsizing your meal portions, you are creating a new eating pattern that will result in slow and deliberate weight loss and continual maintenance of that weight loss. It’s not a miracle diet, it’s just an eat a little less diet that can change the way you view your portion sizes long term. It’s so simple, it’s practically a no brainer! Twenty or thirty years ago, portion sizes were small enough that you could clean your plate and still have room for dessert. According to the National Institutes of Health, our portion sizes have doubled and, in some cases, tripled over the last 20 years. From large restaurant servings to oversized bags of snack foods to supersized fast food meals and drinks, we’ve grown accustomed to bigger meals and, perhaps unsurprisingly, an unintentional consumption of additional calories. In other words, this supersizing has distorted what we consider a normal sized portion. The most difficult obstacle may be relearning what an appropriate portion size actually is. For many of us, it may be a lot smaller than we think. To portion size your plate, fill half with salad or vegetables, one quarter with proteins and one quarter with starches. As it may take a little while to learn and to recognize what an actual healthy portion size looks like, it may help to measure your food or use the eyeball measurement – 1 serving of meat is about the size of your palm, one serving of fish is about the size of your checkbook, one cup is approximately the size of your fist, 4 ounces about the size of a baseball, 1/4 cup about the size of an egg, 1 ounce about the size of a golf ball, and 1 tablespoon about the size of a poker chip. 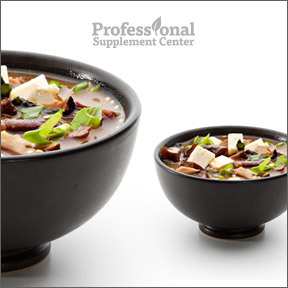 So, while it would be difficult and likely unrealistic to actually cut potions sizes in half, there are steps you can take to begin to reduce your meal servings and start losing weight today. It may help to remember that it’s easy to fall back into old eating habits when you don’t see immediate changes. Weight loss doesn’t happen overnight, so be patient and you can make a real sustainable change to improve your health and wellness. When the pounds begin to slowly melt away and your clothing starts to fit better, that may be all the motivation you need to keep going. Start by putting less food on your plate! And don’t be tempted to go back for a second helping. Today not only are our portions oversized but our dinner plates are as well. Using smaller plates, such as a luncheon sized plate in lieu of a dinner plate, is one sure way to reduce calories without feeling deprived. According to the Small Plate Movement, you can drop up to 18 pounds in one year just by switching to a 9-10″ diameter plate. In addition to smaller portions, cut one high calorie food or drink from your diet. This could be a soft drink, an alcoholic beverage or dessert after dinner. You don’t have to adhere to the clean plate philosophy when dining out. It’s better to take some food home with you for another meal than to consume those extra calories at one sitting just because they are there. Consider sharing an entree to eat a more reasonable amount. It’s true that you eat more when you gulp down your food. Eat more slowly, be grateful for the sustenance, appreciate the texture and flavor of your meal, and you will consume less. It’s so easy to overeat when your mind is focused on something else, so it’s time to stop mindless eating in front of the TV. If you are tempted to snack on high calorie foods after dinner, wait it out and the craving will pass. If you are actually hungry, have a healthy snack, such as a piece of fruit or a handful of nuts. As many of us know, most packaged food contains more than one serving. Read labels to avoid over-consuming multiple servings, or divide the package into smaller servings to help avoid the temptation to consume the whole package. Add in 30 minutes of exercise and burn off an additional 100 calories each day for increased weight loss. You can even do this while watching TV in the evening to help keep you out of the kitchen and keep your weight loss on track. This entry was posted in Home and tagged Pre-Holiday Weight Loss Plan. Bookmark the permalink.